Coffee could be killing your productivity. As former Googlers say, relying on your morning cup of Joe is likely to worsen your work rate. But there’s also one thing that can actually boost your output – not undermine it. I’m talking about productivity tools. They save our time, effort and money – even if we indulge ourselves with a cuppa once in while. So let’s talk about productivity software. At Chanty we are keen on exploring digital tools. Understanding the features of different apps helps us in designing a better tool for our customers – fast, smart and AI-powered Chanty team chat. Usually, we review communication apps, but it’s always rewarding to explore different kinds of software. Traditionally, productivity tools fall into two categories: time and project management. However, in a broader sense – any piece of software that allows you to stay productive is a productivity tool. Moreover, there are specific tools for different business fields. E.g. marketers use Hootsuite, Buffer, Sprout Social and other apps. For starters, I’ll list 11 productivity apps for solving different challenges. Either I or our team tried most of them ourselves, so we’re basically sharing the experience. You are welcome to give your impression of a particular tool in the comments. If you are an undemanding essentialist, rejoice! This might be exactly the tool for you. Google Tasks has the minimalist layout and simple interface. Within it you can create and manage multiple task lists, subtasks, add notes and set due dates. The simplicity of Google Tasks is its advantage and flaw at the same time, as it’s missing some advanced features. Google Tasks doesn’t support time-based reminders – you can set only a due date. Search is another feature the tool lacks. It doesn’t support themes and color coding either – there’s no way to visualize your goals in some fancy way. Still, Google Tasks can serve as a powerful tool, especially after Gmail got an update and this Google side project became a full-blown app of its own. In April 2018, Forbes contributor Anthony Karcz praised Google Tasks as a “perfect productivity tool”. Google Tasks is completely free. It offers no paid tiers. 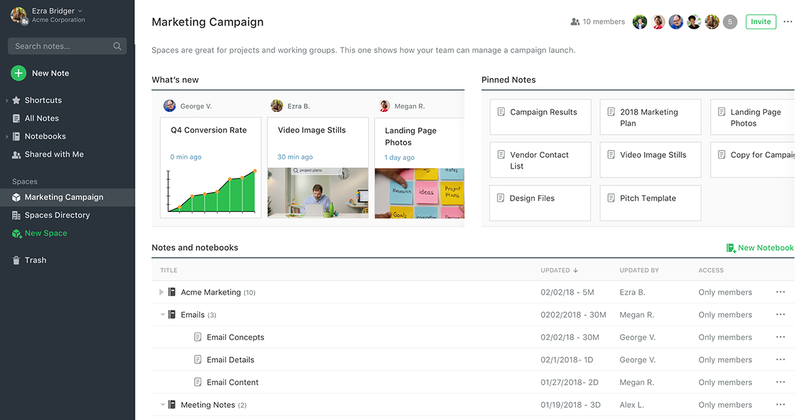 For those who like classic pinning boards and would prefer them over a digital tool, Trello comes up with the solution. 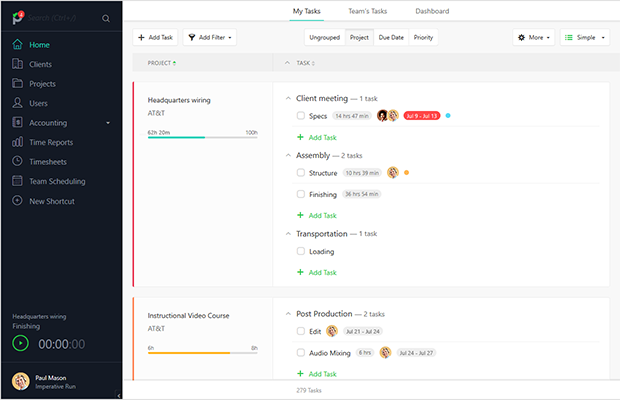 It offers a card-based approach to project management, as its interface mimics the real-life boards. Basically, you create to-do cards within your Trello board and then drag and drop them from To Do to Doing and Done list. That’s a gist of Trello, however, it also provides multiple features such as a possibility to add comments, attachments, and plugins. Trello can be used for almost any case – be it a business project or household chores. Recently, Trello made the biggest updates – got a newsfeed and improved notifications. Now you don’t have to wade through a number of boards to figure out what to focus on next. 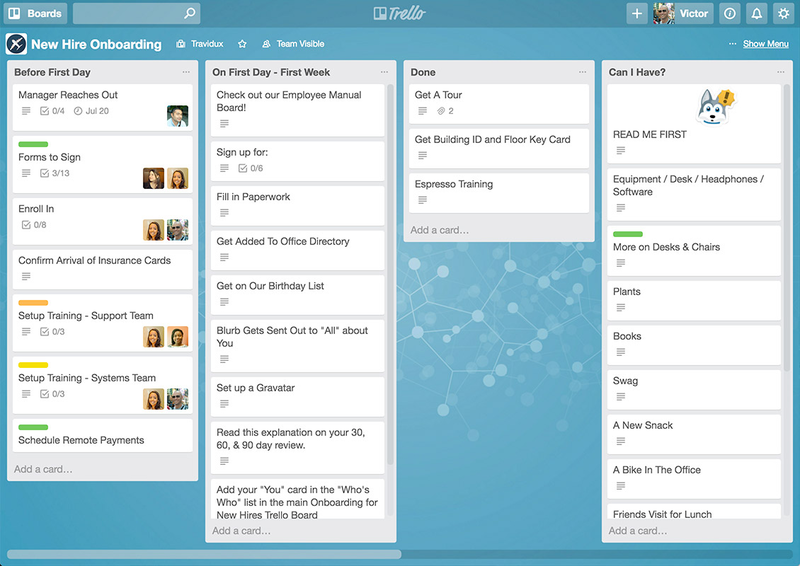 So far, Trello users created more than 2 billion cards to manage projects. Trello has three tiers: Freemium, Business Class, and Enterprise. Within Business tier, which is $9.99, you’ll be able to add integrations to your Trello space. Enterprise plan is $20.83 per user, per month (billed annually) and can work for big companies with many teams. Here’s more info about Trello’s pricing. iOS, Android, Web, Windows, Mac. If you are up to exploring multiple ways of organizing your task boards, Zenkit might be a tool for you. Apart from the card-based approach, it also offers Mind-Map, Spreadsheet, List, and Calendar views that can be switched easily. All the basic features of a project management tool are also at hand: you can create items with due-dates, assign responsibility, tag tasks as favorites, make checklists, etc. However, Zenkit doesn’t offer the milestone tracking, recurring option for tasks and has few native integrations. Zenkit has three tiers – Personal, Plus, and Enterprise. Plus tier is $9 per month per unique member. Within it, you’ll get 10x more items and 2 times more attachment space. The price of the Enterprise plan is available upon request. iOS, Android, Web, Windows, Mac, Linux. It wouldn’t be our blog if we didn’t put Chanty first among other communication tools. 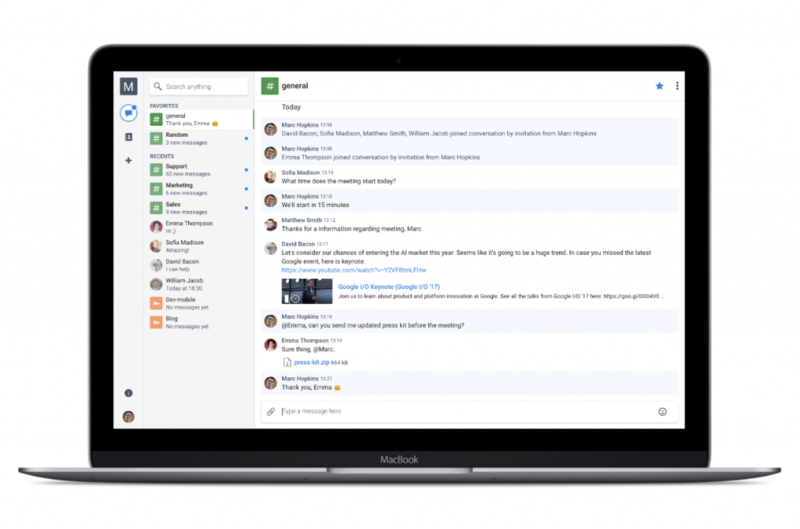 This is a team chat we’ve been passionately building – with a clean interface, friendly UX, and unlimited message history. Chats are organized into public, private and one-to-one conversations. All files and links that your team shares are neatly in order and are easy to find. Right now our team is actively working on built-in task manager that will let you seamlessly assign tasks to your teammates. Actually, a whole bunch of features will be soon added to Chanty, as it’s currently in beta. E.g. integrations and video calls are just around the corner. We are looking forward to seeing you among our early adopters and receiving your feedback. For now, Chanty offers Freemium plan for everyone. iOS, Android, Web, Mac, Windows. Slack is a wide-known tool for businesses. Having popped up in 2013, it became the trendsetter in the world of business communication apps. 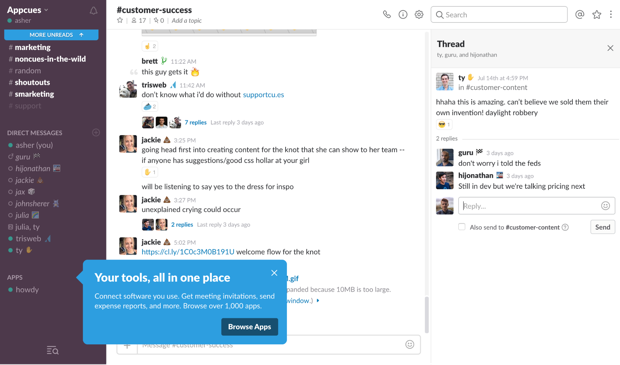 Initially designed as a team chat tool, now Slack positions as a “collaboration hub”, because of its extensive software integration. The tool is often praised for its user-friendly interface and well-thought user experience. Threads, conferencing and advanced search features are often listed among its pros. However, some find Slack cumbersome to use, claiming its notification system is not easy to manage. Moreover, Slack limits your message history in the Free version, which is quite a setback even for small-sized teams. Slack has Freemium, Standard ($6.67 per active user, per month, billed annually) and Plus ($12.50 per active user, per month, billed annually) tiers. 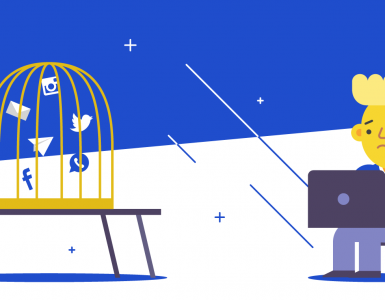 Upgrading to Slack’s Standard version means unlocking your searchable message history and getting access to unlimited apps. Curious to know where your time goes? RescueTime got you covered. It runs in the background on your computer and mobile devices. The app tracks time spent on websites and applications. At the end of the day, you get a detailed report and data based on your activity. This might help you to prioritize work on the most meaningful activities. E.g. you can set weekly goals and track if you get to achieve them. Weekly reports on your performance will arrive into your email box. I tried Rescue Time by myself. Here’s the report I’ve got for the last Sunday when I decided to work from home. It showed I spent 17% of my time on entertainment! Argh! I guess I need to ditch YouTube and Spotify. RescueTime has three tiers. The Freemium one provides you with all the basic features. For reports, you’re limited to a three-month history, though. The Premium is $54.00 per year if billed annually. It gives you a possibility to track time offline, receive alerts, block websites etc. There’s also a plan for organizations that allows visualizing company patterns. Android, Mac, Windows, Linux, RescueTime for iOS is in beta, as of September 2018. 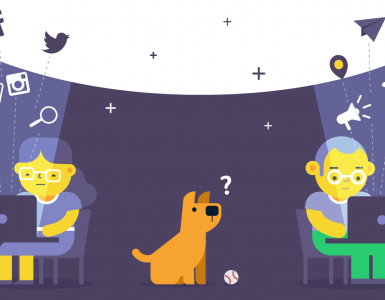 If you are up to know how much time you spend on a particular task, Toggl might be the tool. It’s praised by being quick, nimble, intuitive and easy to use. Basically, all you should do after signing up is to toggle the time clock and start working. You don’t even need to add any information about the project – you can do it later. Our Chanty design team has been using Toggl for years. We appreciate its convenient reports for our projects sorted by day, week, or month. 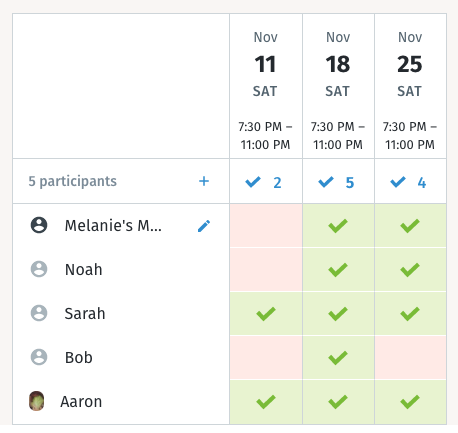 Also, Toggl serves our leads, providing the possibility to notice any overdue projects and current logged time. 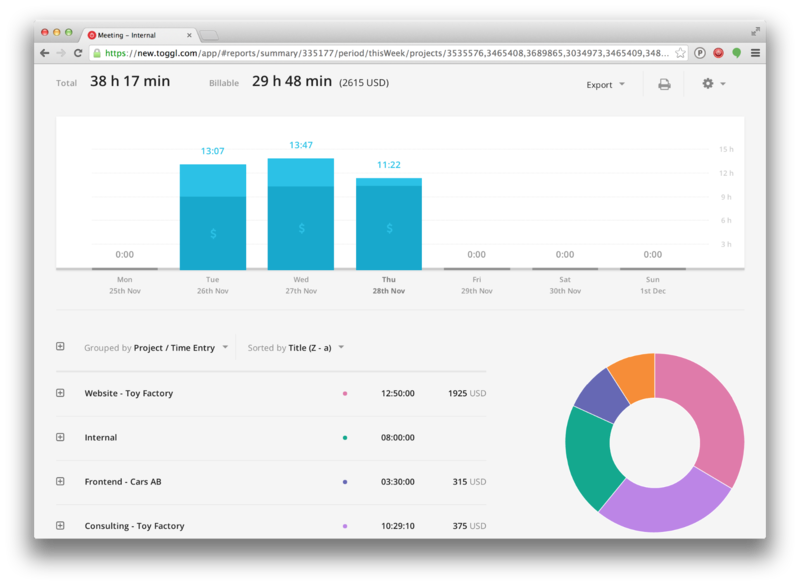 Basically, Toggl is designed for business, it will particularly work for freelancers and small companies. The Basic plan is free and provides the core time-tracking tools. There are also 3 paid tiers (Starter, Premium, Enterprise) – $9, $18, $49 per user, per month billed annually. You can free trial all three. More information on pricing can be found here. iOS, Android, Web, Mac, Windows, Linux. Basically, Evernote is a tool for writing your notes down. You collect them, organize and archive. If necessary, clip anything from the web. Attach pictures, video, audio and other files. Your account auto-syncs across your devices, so files are available from anywhere. Tags and search help to manage your notes, while you can share them via links with anyone. Evernote is not necessarily used for business purposes. Many use it for storing personal moments. Students find it helpful when writing course papers. (That’s how I used it and remained pleased). Evernote is probably one of the oldest productivity tools – it turns 18 in 2018. At last check, 225 million people use Evernote’s products. Evernote has 3 tiers – Basic, Premium, and Business. Within the Free tier, you’ll be able to sync your account on up to two devices only. The premium tier costs $7.99 per user a month and will remove this restriction. The business tier is $14.99 user a month and is designed to serve teams. Here is some more information about Evernote pricing. Many tools in this list hardly need any introduction. Google Drive is certainly one of them. Basically, it’s a file storage space where you can keep any docs, images, videos, recordings, etc. Your files can be reached from any smartphone, tablet, or computer. Share files and folders with others, inviting them to view, download and collaborate on them. Perform a quick search within your files. If you need a space bigger than 15 GB, there’s a possibility to upgrade. The tool is great for personal and business use – no wonder it’s growing fast. In July 2018, Google Drive was about to hit 1 billion users. 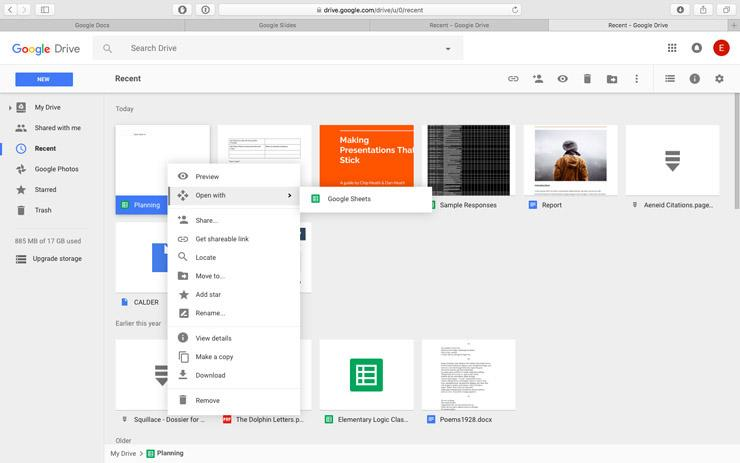 In August 2018, Google rebranded its Google Drive plans under the name Google One. Basically, the US tech giant cut the storage prices. Google One plans start at the same place as Google Drive plans — $1.99 per month for 100GB of additional storage — but the other tiers are cheaper. For example, Google introduced a new $2.99-per-month plan, which includes 200GB of storage, and it’s upgrading the $9.99-per-month tier to include 2TB of storage instead of 1TB. 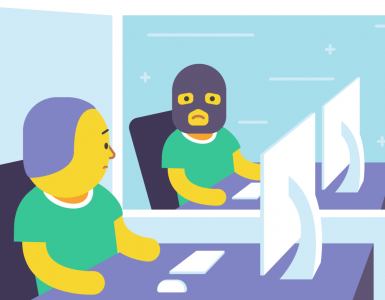 Remote Team Productivity in 2019"
If you need to get a date and time fixed for a large group of people, Doodle is the tool. It allows you to send a quick poll where people can pick from dates and times you offer. You see the results and then choose the best option. That’s it! No more endless emails and schedule-juggling. It will work for the international teams, as the time zone sets automatically according to IP-address. Not only businesses can benefit from Doodle, but actually anyone. You can arrange a party, dinners, trips or your child dates. Nothing basic is missing in the free tier so you might be all set for free. In 2016 HBR article Doodle was listed as a digital productivity tool everyone should adopt. Doodle offers 3 plans: Free, Private and Business. Private is $39 per year and includes 1 Premium user (the one who creates polls). It enables you to get rid of the ads, send reminders about your poll, etc. This seems like an option for freelancers and sole proprietorships. The Business plan is for teams and starts at $69 per year. Within it, you’ll get some additional features, such as user management and branding. The final price depends on how many Premium users are included. Paymo is a complete project management platform that helps freelancers and SMEs with contracting work in the form of projects, all the way to completing them and getting paid. It includes features such as task management, planning, scheduling, team collaboration, invoicing, time tracking and reporting – all under the same roof. This means you can integrate your whole workflow and be able to view the big picture in terms of the project portfolio, as well as zoom in to oversee the daily operations of your team. For this, you have Team’s Tasks which reunites all your team’s tasks under a single screen and groups them by priority, due date, and the project they belong to. Extra filters can be added too. 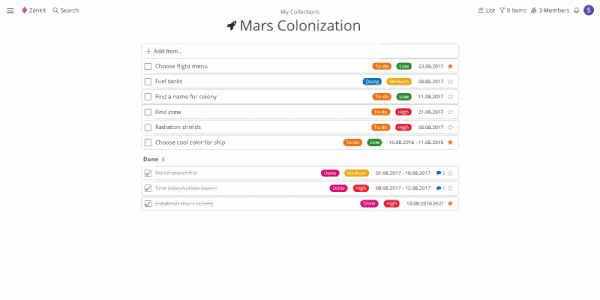 You can then change this task format to Table View, for a tabular perspective of all task details, or a Meta Kanban Board, for an increased workflow visibility. Bonus: Paymo comes with a suite of time tracking add-ons, among which an automatic time tracker and a desktop widget that can be docked in the panel of any Adobe CC product with a 2017+ license. 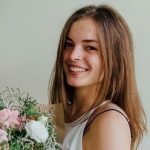 There is a free plan for freelancers and individual users, plus two paid ones: The Small Office plan (starting from $9.56/user/month) and the Business Plan (starting from $15.16/user/month). More information about the pricing policy and what features go into each plan here. Web, Mac, Windows, Linux, iOS, Android. 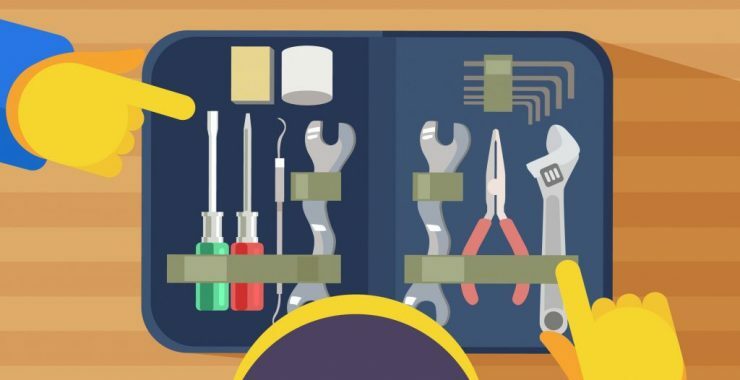 These first 11 tools are just the beginning. The list of the productivity apps can be endless and we’re looking forward to introducing you to other apps. Stay in touch. Aleksey Chepalov is a part of the marketing team at Chanty - a simple AI-powered team chat. 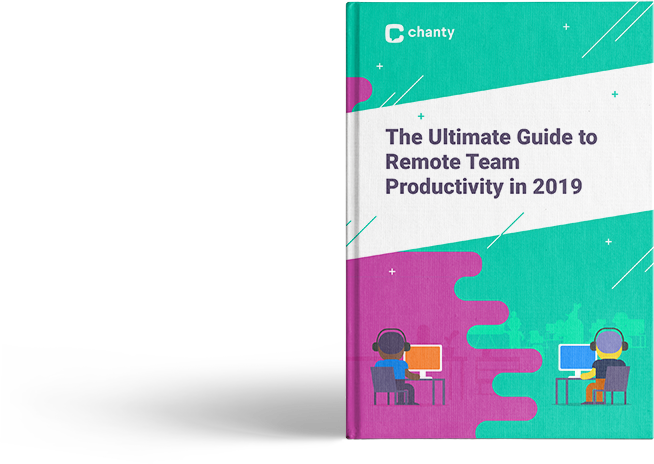 This powerful and free Slack alternative is aimed to increase team productivity and improve communication at work. 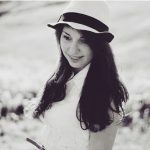 Aleksey is keen on such topics as marketing, SaaS challenges and personal growth.